Our hometown newspaper runs a weekly "Where in the World" photo of local residents who take the publication with them on a trip and have themselves photographed with it. Ours was printed yesterday and the girls are thrilled. This post is a submission to Photo Friday at DeliciousBaby.com. 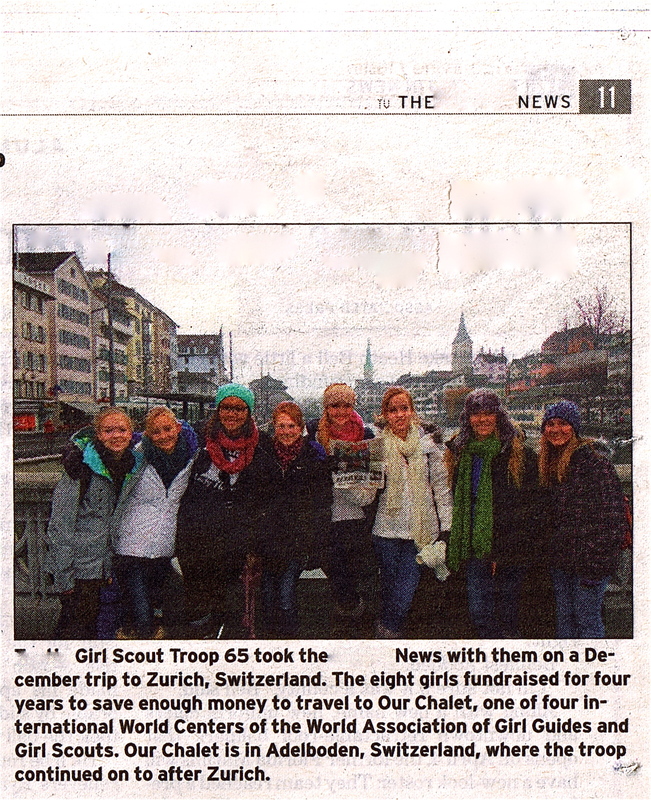 If I'd known I could have gone to Switzerland in high school, maybe I would have stuck with Girl Scouts beyond fourth grade! That trip keeps getting better and better. What 'cha got planned for next year? I also will be happy if my picture publish in any magazine or newspaper. Great idea to cheer others.